BSNL has officially announced a new pack for Rs 339 that gets you 56GB data, unlimited calls in BSNL network and limited free calling to other networks for 28 days. BSNL has finally taken the plunge into one of the fiercest battle going on in the telecom arena. The company has announced new unlimited plans offer double the data offered by Reliance Jio, and includes unlimited free calling its own network. 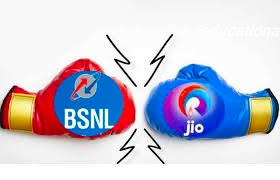 You can buy the pack for Rs 339 without any special membership, as required in your Jio connection, to avail 2GB data and unlimited calls to BSNL network. The customers will also get 25 minutes of free call to other network everyday and after that they will be charged 25 paisa for minute long phone call. Though the data is 3G and not 4G what Airtel and Jio offer the speeds are highly network dependent of the two anyways and it might hardly make a difference when it comes to consistent connectivity. And the fact that BSNL has announced this offer officially means you can go online and get the recharge done, not worrying about the eligibility or prepaid/postpaid issues. Most unlimited packs Idea, Airtel and Vodafone are offering are not accessible to every customer -- most are left wondering if they are eligible and how to get the offer. "The benefits customer will get under the Combo STV (special tariff voucher) of Rs 339 are unlimited calls in BSNL network and unlimited data with fair use policy of 2 GB per day with validity of 28 days," BSNL said in a statement.“We are committed to providing affordable and efficient services to all segment of our loyal mobile customers. We offer best prices to our customers considering present trend of Indian telecom industry,” BSNL director for consumer mobility RK Mittal said.